Abbott, Joseph. Kings Own Yorkshire Light Infantry. Adams, J. Private 9th Durham Light Infantry. Ainslie, Thomas Alexander. Sergeant D.L.I. Allison, G. Private M.G.C. Heworth. Allison. Joseph. Private 9th D.L.I. Applby, J.A. Private 8th D.L.I. Armstrong, John George. Gunner Royal Field Artillery. Armstrong, William. Private Border Regiment. Arnell, Robert. Lived 26 Coldwell Terrace. Arnell, William. Lance Corporal 20th D.L.I. Arnott, John. A.B. Royal Naval Division. Ashcroft, James. Private 14th D.L.I. Ashcroft, Thomas. Private 100th Labour Battalion. Ashton, R. Private Northumberland Fusiliers. Askew, F.W. Lance Corporal N.F. Atkinson, J.E. Private 20th N.F. Avery, J. Private 19th Yorks. Baker, John Thomas. Corporal 11th D.L.I. Barber, Thomas. Lived 36 Whites Buildings. Barker, T.P. 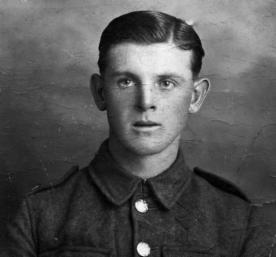 Private 18th N.F..
Barrass, James William. Military Medal. Barron, John. No.103114 R.A.M.C. 48 Wesley Terrace. Bashton, Benjamin. Private 6th N.F..
Beattie, G.E. Lance Corporal 27/85 N.F. Military Medal. 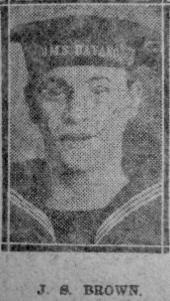 Beattie, W. Able Bodied Seaman R.N.D. Bell, E.I. Corporal Royal Engineers. Bell, J. Private N.F. Awarded D.C.M. Bell, James. Private 10th D.L.I. Bell, Richardson. 9th Batt. D.L.I. Berry, James. Private 25th N.F..
Bewis, Thomas. No.212692 R.E. 10 Benson Terrace. Bickerdyke, Richard Campbell. Private 10th D.L.I. Bickerton, J.T. Seaman Royal Naval Volunteer Reserves. Bird, W. Private. Felling. Wounded. Blythman, William Carr. Private N.F. Bolam, Joe. Private Military Medal. Bowman, James Young. Regiment T.R. Bn. 87 Durham. 21 Quarry Row. Boynes, Wilfred. Royal Horse Artillery and Royal Field Artillery. Bradley, Patrick. Private 26th N.F..
Bradley, Robert. Private Border Regiment. Brannan, James. Private 18th N.F. Brewis, R.A. Private 10th D.L.I. Brimer, W. Private D.L.I. Pelaw. Brown, Police Constable at Felling, 17th Lancers. Brown, John James. Private Kings Own Yorkshire Light Infantry. Brown, C.B. Royal Naval Division. Brown, John W. Bombardier R.F.A. Brown, John. Private Coldstream Guards. Brown, Leading Seaman. R.N.D. Collingwood Battalian. Brown, Robert. Seaman Royal Naval Division. Brown, T. Private King’s Royal Rifles. Brown, Thomas Boiston. Able Bodied Seaman Royal Naval Division. Brown, Thomas. Seaman Royal Naval Division. Brown-King, John Linsay McCutcheon. Seaman Royal Marine Light Infantry. Bruce, Thomas. Private 13th D.L.I. Brydon, Robert. Private 11th D.L.I. Burn, Frank. Able Seaman R.N.D. Burn, William Edward. Sapper Royal Engineers No.4 Section 170th Co.
Burnett, M. Private Sherwood Foresters. Burnham, Edward Francis. Private Green Howards. Burns, T. Corporal D.L.I. Old Fold. Byers, Robert R. 3rd. Yorkshires. Cain, John Edward. Lance Corporal 9th D.L.I. Cairns, J. Private 14th D.L.I. Cairns, Thomas. Royal Field Artillery. Carlow, T. Private. Wardley Colliery. Wounded. Carson, Henry. Private 13th Battalion D.L.I. Carson, Robert. Private N.F. 23rd Battalion Tyneside Scottish. Carter, John. Lance Sergeant 9th D.L.I.. Military Medal. Carter, John J.E. Private 18th N.F. Cassidy, H. Lance Corporal N.F. Chambers, R. Private No 23296 11th Batt. D.L.I. Champney, George. 2nd Batt. D.L.I. Charlton, Christopher. Private 6th N.F. Charlton, James Elliott. Private D.L.I. Charlton, T. Private. Shell shock. Clark, J.N. Lance Corporal Canadiane. Clark, Joseph. Private 10th D.L.I. Clark, Robert H. Seaman Private R.N.D. Clark, R.W. Private D.L.I. No 12992. Clark, William. Lance Corporal 12th Battalion N.F. Clough, R. Private N.F. Wounded. Clough, Thomas H. Private 13th D.L.I. Close, James. Labor Corps No.694. Ballist Hills, Felling Shore. Clay, H. Private West Yorkshires. Clelland, James. Private Manchester Regiment. Clemenson, Arthur. Private East Yorkshire Regiment. Clough, John. Private 1/5th Batt D.L.I. Clough, William. Able Seaman Royal Naval Division. Coates, Robert. Corporal South West Borderers. Colman, E. Private 15th D.L.I. Coltman, Ernest. Able Seaman R.N.V.S. Cowper, T.F. Private D.L.I. Windy Nook. Coxon, Robert. Private Green Howards. Crawford, William. Private Cheshire Regiment. Cripps, T. Staff Sergeant D.L.I. Crowther, William. No.49806. 20 Major Terrace. Cruddas, Joseph. Private. Military Medal. Cuthbertson, G. Bombardier R.F.A. Regiment. Cuthbertson, Thomas. Private 2nd Yorkshire and Lancaster. Davidson, George. Sapper Corps of Royal Engineers. Davidson, Robert. Private 2nd N.F. Davison, William. D.L.I. Lived Felling Shore. Dean, J.O. Lance Corporal D.L.I. Derrick, Patrick. Private Royal Army Medical Corps. Devine, Thomas. Private. Military Medal. Devine, Hugh. Driver Royal Field Artillery. Diamond, John. Tyneside Irish. 11Garden Terrace. Dickinson. Private 2nd K.O.Y.L.I. (Felling wounded). Diggle, George. Corporal. Military Medal. Dillion, Andrew. Private Royal Fusiliers 23rd Battalion. Dine, Robert Henry. Private Yorkshire Regiment. Ditchburn, John. Corporal . M.G.C. 15th N.F. Dixon, Francis Albert. Private 18th Battalion N.F. Dixon, John. Private 1st Batt. D.L.I. Dixon, Peter. Private 2nd Battalion .L.I. Docherty, G. Private Dublin Fusiliers. Dodds, Ebenezer. 1st Batt. East Yorkshire Regiment. Donkin, R. Corporal West Yorks. Pelaw. Donkin, T. Lance Corporal Royal Army Medical Corps. Donnelly, Joseph. Sergeant 2/9th D.L.I..
Dorman, Joseph Claughan. Private 1/7 Liverpool Regiment. Duggan, William Joseph. No. 81093 Yorks and Lancaster Regiment. Eales, Frank. Private 15th Battalion D.L.I. Eccleston, Edward. Private Border Regiment. Edwards, Joseph Edward. Killed May 27th 1918. Elliott, Robert. Kings Own Light Infantry. Robert born Windy Nook 1890 to Thomas Elliott & Elizabeth (Dixon) Following death of Thomas married George Scales. Lance Corporal 63880 Kings Own YLI. Elliott, Thomas William. 17th Batt. Royal Fusiliers (City of London Regiment). Elliott, William. Private 9th D.L.I. Embleton, William C. Lance Corporal N.F. English, John. Major 9th Battalion D.L.I. Errington, J. Private K.O.Y.L.I. Pelaw. Evans, Matthew. Private Royal Marines. Evans, William L. Private 9th D.L.I. Fawley, P. Company Sergeant Major N.F. D.C.M. Felton, John. Private 20th Battalion N.F. Military Medal. Felton, John. Private 1st Battalion N.F. Finlay, James Wright. Private Heworth Colliery. Fittes. Sergeant D.L.I. Pelaw. Awarded Military Medal. Fleming, J. Private D.L.I. Wounded. Fleming, Thomas. Gunner Royal Field Artillery. Forster, David C. Private 9th N.F. M.M. Forster, Frank. Private Royal Inniskilling Fusiliers. Forster, Robert. Northumbrian Brigade R.F.A. Forsyth, Adam. Sergeant 9th Battalion D.L.I. Foster, George Scott. 9th Battalion D.L.I. Military Medal. Foster, Robert Bell. Private N.F. Foster, Robert. Gunner Royal Garrison Artillery. Foster, Thomas William. Private 27th Battalion Tyneside Irish N.F. Foster, W. Private Royal Army Service Corps. Freeman, George E. Private N.F. Second Lieutenant 13th Battalion D.L.I. French, John James. Private 13th Battalion D.L.I. Gaffney, Peter. Corporal 15th Battalion D.L.I. Gardiner, J. Sergeant 10th Gordon’s. Garvey, F. Second Lieutenant 1st. Norfolks. Gatenby, Edward. Private 1/6th Battalion D.L.I. Gillard, W.H.S. Private Suffolk Regiment. Gilmeen, W. Private N.F. Wardley. Wounded. Gilroy, Edward. D.L.I. 20 Chapel Street. Gofton, F. Corporal. Windy Nook. Gofton, Richard. Private 2nd Battalion King’s Own Yorkshire Light Infantry. Gooding, James. Private 2nd D.L.I. Goodrum, W.J. Private 8th N.F. Goscombe, J.H. Private 9th D.L.I. Gostling, Herbert. Sergeant Duke of Wellington Regiment. Driver Royal Horse Artillery and Field Artillery. Graham, S. Able Seaman R.N.D. Bill Quay. Grainger, Edward. Private 2nd York and Lancaster Regiment. Gray, R.A. Petty Officer R.N.D. Green, J.J. Private 10th D.L.I. Greenwell, Alfred. Private 8th Battalion Kings Liverpool Regiment. Grundy, William. 26th Batt. D.L.I. Gunn, William Foster. Lived14 Split Crow Lane. Gustard, Hilton. Private 1/9th Battalion D.L.I. Guy, Thomas. Private 13th D.L.I.